It is really important that your boiler is working safely, and the best way to do this is to see when it was last serviced and what, if any, work was undertaken. Most sellers will leave details of service documents behind for the new owner’s records, and there may even be a sticker on the unit itself telling you when it was serviced and who by. If the boiler has not been serviced within the last 12 months, you should make it a priority to book a service with a Gas Safety registered boiler engineer as soon as you can. 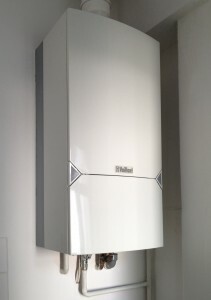 This may sound obvious, but not everyone is a boiler expert, and should it fail to work as well as expected, you need to know what you are dealing with. You could have inherited a combi boiler, a system boiler, a condensing boiler or even a conventional boiler. Most homes in the UK have gas combi boilers installed, as they are the most efficient way to heat your home and supply hot water, but never just assume this is what you have, check it out first. Knowing what the make and model of your boiler is can prove incredibly helpful if something goes wrong. If the previous owner hasn’t left you any manufacturers manuals or warranty details, you should still be able to identify the make and model by looking at the unit itself. Once you know what it is, you can usually download duplicate manuals from the manufacturer’s website or another online resource. If you are planning on taking out boiler insurance, you will need to know in advance what the make and model of it is. A very old model will probably look out of date, even if it is still working well. If the previous owner did not give you an idea of its age, you should be able to get a rough idea by looking up the serial number online. You should also be aware that older models are more likely to give off carbon monoxide fumes, so always be sure to install a carbon monoxide alarm in your new home. If you have been provided with the paperwork for a manufacturer’s warranty you should check to see how long is remaining on the insurance, and exactly what it covers. If the warranty has expired, you may want to consider checking if your boiler is covered on your home insurance or investing in a specialist boiler insurance product to help protect you against the cost of repairs or replacement. You won’t know how much your new home costs to run until a few months in. But if your boiler looks old, chances are it will cost you more to run and waste energy compared to a modern one. If you have the budget to do so, investigate the cost of installing a modern gas condensing boiler with an A-rating on this label to help reduce your energy costs. If you are buying a new property to rent out, you will have certain obligations as a landlord. When it comes to the boiler, you will need to ensure that safety of any ingoing tenants by having a Gas Safety registered engineer undertake a Landlords Gas Safety certificate on an annual basis. This is a legal requirement, and you cannot rent out the property without having a current Gas Safety certificate in place. You are also responsible for the servicing of the boiler, and you must leave a copy of the Gas Safety certificate and service record in the property at all times. 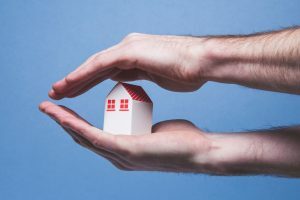 Our reliable and Gas Safety registered team of engineers can service the boiler in your new home, as well as provide Landlord Gas Safety certificates for rental homes in Bristol.